Cerumen – a special oily to waxy material produced in small quantities by the healthy ear canal. Cerumen production often increases greatly if the ear canal is inflamed. Accumulation of excessive amounts of cerumen can reduce the effectiveness of ear therapy, so ear cleaning is usually an important part of ear therapy. Ear cleanser – a liquid that is used to loosen and dissolve discharge, cerumen, and/or pus in the ear canal so that material can get out of the ear. Most ear cleansers have antimicrobial ingredients in them to kill bacteria and yeast, though some cleansers are purely for dissolving ear wax (cerumen). Ear medication – a liquid that contains antibiotic and/or antifungal drug usually combined with a steroid. Inflammation – visible characteristics include: redness, swelling, thickening; microscopic characteristics include: excessive numbers of inflammatory cells. Inflammation in the ear is usually caused by infections or an allergic skin disorder or a combination of the two. Inflammation damages the ear and increases the susceptibility of the ear to further infection. If inflammation in the ear is severe enough, it can be difficult to control or stop ear infections, causing a vicious cycle. Steroid – “glucocorticoids” or “corticosteroids” are the type of steroids used to reduce inflammation in the ear canal, are an important part of ear therapy, and are an important ingredient in ear medications. By reducing inflammation, these steroids assist in controlling or ridding an infection. However, these drugs can have side effects, especially if given orally or by injection. 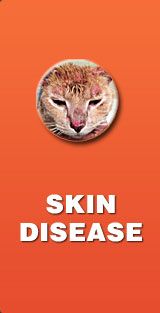 Make sure before applying treatment that the medicine can get to the skin and where it has to be. If it sits on top of the discharge it is virtually useless. Cleaning & drying your dog's ears before treatment is essential although irritating at first. Always treat with topical ointments as well when using oral antibiotics in ear disease cases. Oral antibiotics work to stem bacteria growth and secondary infections but in a sustained lower concentration. 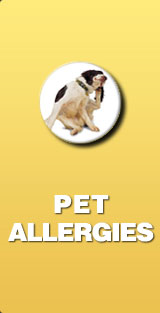 Topicals add a high dose concentration that is needed in the canine ear canal. A minimum of 8-10 weeks of antibiotic therapy is required to achieve success in chronic pseudomonas along with a culture sensitivity analysis which identifies what antibiotics to which your pet is sensitive or resistant. 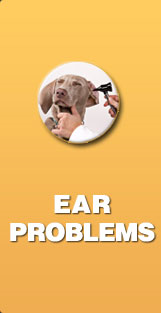 Ear infections in dogs become chronic at a drop of a hat. 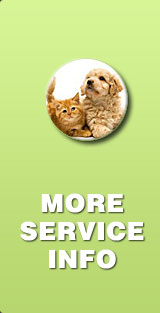 Prevention methods should always be maintained: Clean you pet dog's ear once or twice a week. Air dry ear daily for a short time. Make sure ears are thoroughly dry after bathing or cleaning. 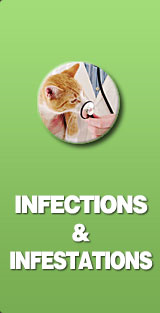 Maintain frequent examinations by your vet to closely monitor treatment.